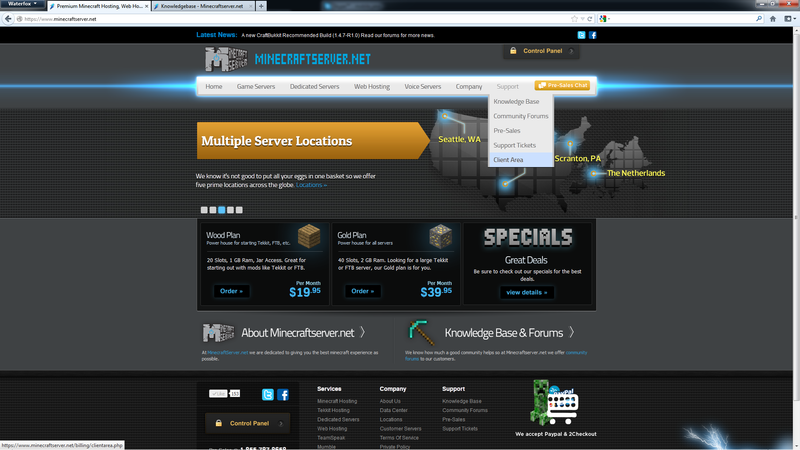 Or click it from our home page. 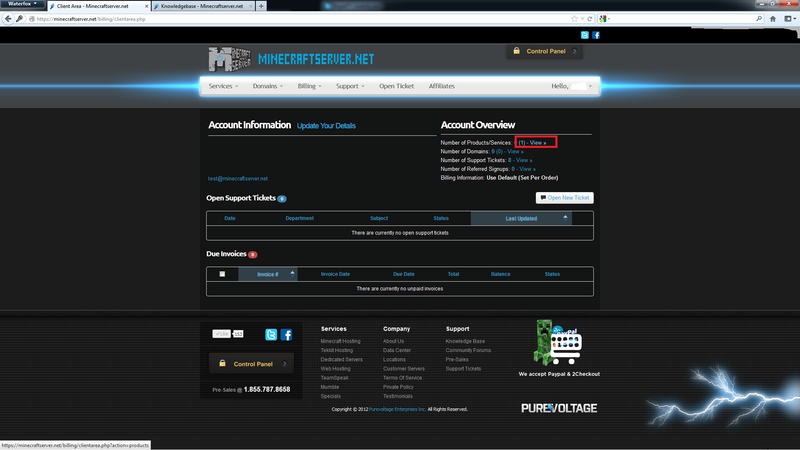 Once you have logged into the client area you will see the following page click the part that's highlighted in red. 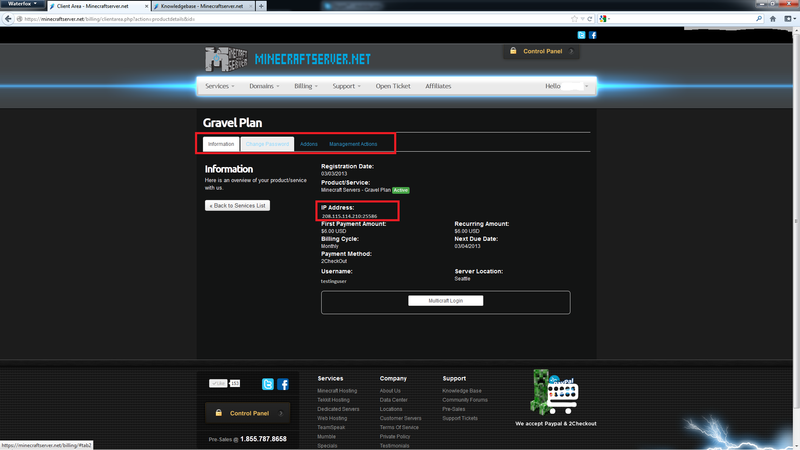 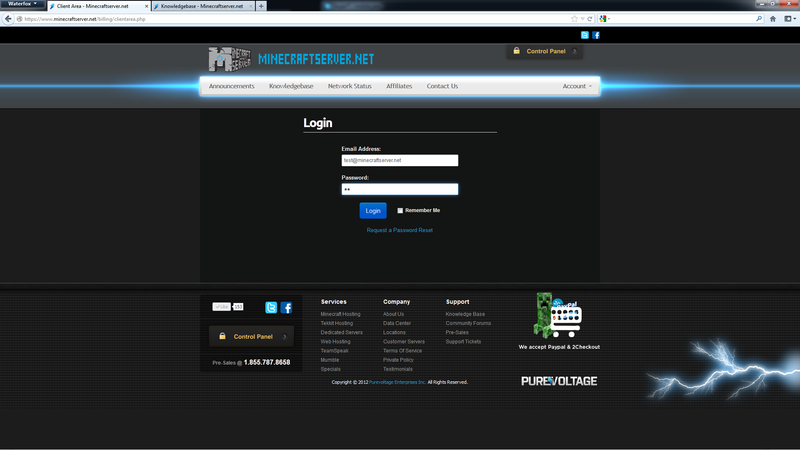 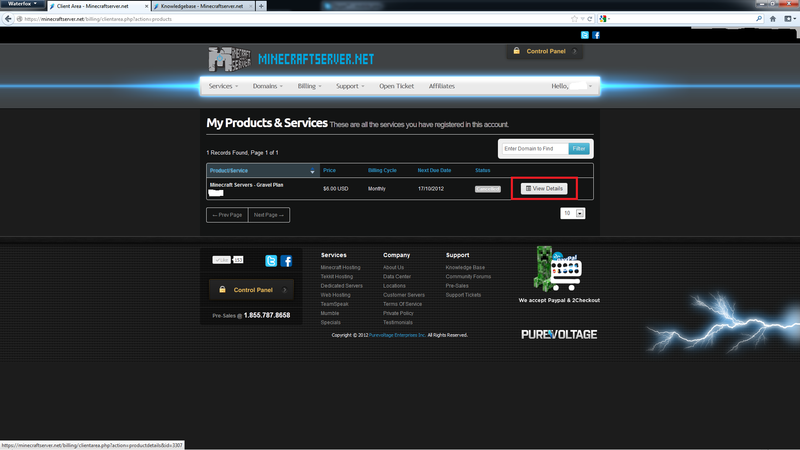 Now you should be at a page which shows your servers IP and port along with change password.